Voicemail is available for all Residential customers and for Business customers with VoIP Devices and/or Users. Note: Both your mailbox number and default password are included in the CVS Build Doc we sent you. The Web User Portal is your VoIP/Voice overview dashboard - accessible via your web browser. 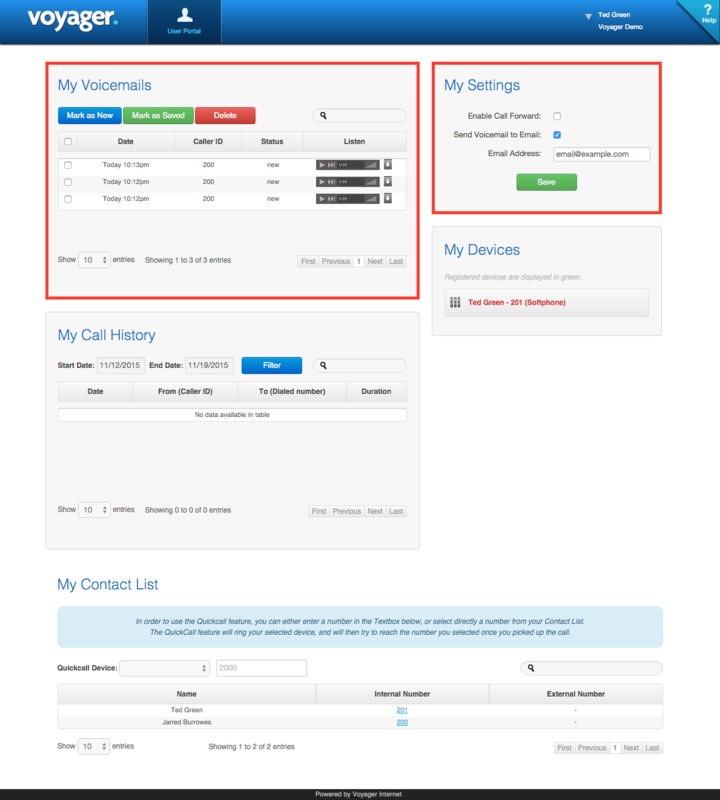 It allows for easy Voicemail management, including Voicemail to Email Notifications and Call Forwarding. Note: The User Portal is available only to Residential VoIP customers and to Business customers with Cloud Voice Users (CVS Users).